In its most recent budget, the Conservative government announced it would “reclaim” the $3.1 billion in cash it had planned to allocate to the military over the coming years but restore it four years hence, so that equipment can be bought then. 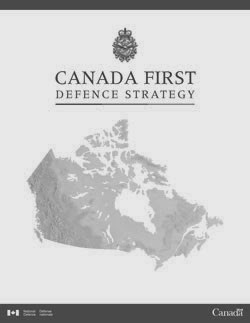 The Conservative governments’ latest budget effectively removes one billion dollars a year from defence spending. The argument, advanced by the Minister of Finance, is that money will be returned in the future to fund new programs. The belief appears to be that in that yet to be determined future the same choices will be available then that we have now. The question is, what will be available for the government, any government, to buy in four years? Because an interesting thing is happening to western military aircraft programs, they are all ending. Even in the unlikely event we had been in the market for them, the last Lockheed Martin F-22 was produced in 2012. Baring further orders, the Lockheed Martin F-16, which at this point is competing in the market with used examples of itself, has a backlog which takes it to 2017. After that it will be competing with the F-35, also a Lockheed Martin product, which makes it unlikely the company will keep that production line open. In September of 2013 Boeing delivered the 223rd and final U.S, Air Force C-17, the company announced the line would close in 2015. A month later, South Korea rejected the Boeing F-15 for its F-X3 competition, dooming the proposed Silent Eagle variant and probably killing the line after the last of Saudi Arabia’s current order is delivered in 2018. It is true that the US Congress has given Boeing’s Super Hornet fighter jet a lifeline for now. The recent omnibus spending bill contains a down payment of $75-M for 22 of the fighters that the Navy did not request. This lifeline may not be enough. In December 2013 the Boeing F/A-18E/F lost the Brazilian FX-2 competition, one of several key international defeats. A previous pre-selection announcement for 36 Hornets by the U.S. Navy was withdrawn, under pressure it is assumed. At that point the last Super Hornet was slated to be produced in 2016; Boeing has announced that it will decide in the near future whether it will preserve the line. In Europe, barring further orders, the last Eurofighter Typhoon is scheduled to role off the assembly line in 2017. Rafale production is on life support having been cut from 11 per year to 26 aircraft to be delivered over 6 years. Of course, assuming negotiations in India do not go off the rails it might be possible to purchase Rafales from HAL in the future. Even after winning the Brazilian FX-2 competition Saab has sold relatively few of the Gripen JAS-39E variant and future upgrades are at the mercy of long suffering Swedish tax payers. With the less expensive KAI FA-50 Golden Eagle beginning to compete for market share it will be up to those same taxpayers to decide how long they want to continue to produce this under appreciated aircraft. It is not just the fighter market that is shrinking; the last Beechcraft T-6 will be produced in 2016. In fact it is estimated that total military aircraft procurement between 2011 and 2018 will be half of what it was in the eight preceding years with inevitable effects on production and availability. It is this combination of events which explains the U.S. Air Force’s unrelenting support for the flawed F-35 program. For the United States this is a crisis of the production base, for Canada it is all about procurement choices. In the future imagined by the government there may not be any choice, at least when it comes to fighters. The truth is that the government is cutting defence spending by stealth. It has been decided that a balanced budget is of more worth then national defence. This may be a rational argument, however it is not one the government wishes to have. They would like the general public to believe that Defence capabilities and choices are being left intact. They are not.